I noticed recently that a few people jumped on a quote from BioWare co-founder Greg Zeschuk about the RPG genre in a recent interview. While most of the article focuses on selling The Old Republic, there was an interesting comment in response to a question about BioWare's status as "the" RPG studio. Greg: "we had the RPG panel breakfast at GDC yesterday – and what was interesting about that was that we had the conversation about ‘what is an RPG’ and it’s a blend. The genres are blending right now, you’re getting lots and lots of progression and RPG elements in shooters – online persistence and so on. It’s funny because the RPG in the context of the current world is – well, it’s not specifically irrelevant, but it’s becoming less relevant in and of itself. It’s more a function of ‘hey, this game has a great story’. For us having that emotion but also having other great features like combat and persistence of character progression and stuff." As stated by many others, "RPG elements" have become increasingly pushed into other games, which has merely exacerbated the fight over "what makes an RPG?" 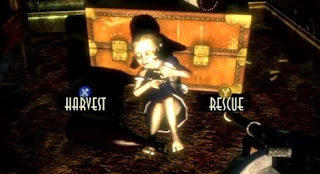 People have called BioShock an RPG because of the choice posed in that. I'd argue that it isn't because the choice is entirely moot. 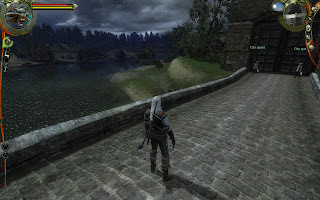 People praised The Witcher, but I found it a horrible game because I was handed a predefined character and personality and while I got to make choices, I was never roleplaying because I was always assigned Geralt's reasoning and rationale for any choice I might have made. People hated Dragon Age 2 and said it wasn't really an RPG because of an inability to affect the outcome of key events. The story was the staple of the RPG for a long time, but now stories are common across many genres. Not all of them are great stories, but some RPGs have some pretty mediocre stories as well. Then you could argue it comes down to choices, but you occasionally get those in other games too. What about number based combat mechanics? Nope, they exist in other games as well. The question this raises is at what point do the combinations of "RPG elements" make a game "an RPG" or "not an RPG"? As a blanket statement, I'd say that provided I can define the personality of my character and carry out actions and select dialogue that supports that character, the game is an RPG. However, under this definition, the Witcher isn't an RPG, and hence all its fans will burn me at the stake. And where does this leave games like the "action RPG"... or heck, even things like the old gold box games, or Eye of the Beholder, or Dungeon Master? RPGs ain't RPGs. The difficulty of a definition is something I've discussed before, and the past year or two have done nothing to assist in defining what defines an RPG. I'll frequently see people complain about the death of the "real RPG", attacking modern RPGs like Fallout 3/New Vegas, Dragon Age 2 or Mass Effect 2, while in the same breath praising their favourite old games. The hilarity of these are when these people attempt to define their rules for what makes an RPG. Recently I saw someone comment that Dragon Age 2 wasn't an RPG because its first act forces the player to do sidequests to collect money, an argument that falls flat because the same idea was used in Baldur's Gate 2, which is held up by many as the pinnacle of RPGs. Another claim was that any game where you're given a set character isn't an RPG, but The Witcher (1 & 2) would fail that test too, and I've seen more than a handful of people declare them the "last bastion of the real RPG". Given this issue, perhaps it would be more accurate to say that it's not the RPG that is irrelevant, but the definition of what is and isn't an RPG is irrelevant. Most genres can be fairly clearly defined: People know a first/third person shooter when they see one, or a stealth-em-up, an RTS or a puzzle game. But these genres relate to specific aspects of gameplay. If these games start including "RPG elements" (whatever they are), at what point do they switch genres and become an "RPG" or an "RPG hybrid"? Deus Ex: Shooter? 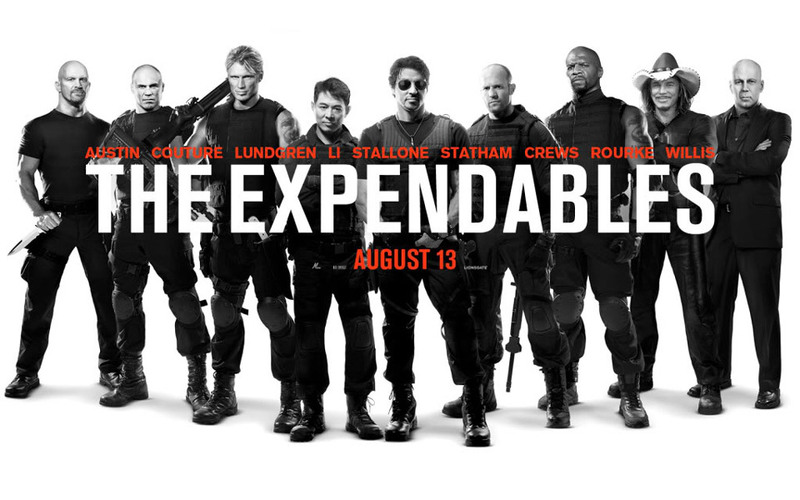 Stealth-em-up? RPG? As for how Greg's statement reflects on BioWare's reputation, I think it's merely stating something that should have been fairly evident to people for a little while now. BioWare have definitely been trending away from "classic" RPG mechanics for combat. There's a movement away from having a character's success determined primarily by the numbers of the character's stats and the players high level strategic direction, and a movement towards having a primarily reflex/controller-eye coordination based combat. This isn't necessarily a bad thing, but without some level of control, it takes away the feeling of character progression that has effectively been a mainstay of the RPG genre since its inception. There are some issues with "hybrid RPGs" at the current point in time, most notably the tendency towards a reduced number of enemy types. If all the enemies you are fighting look exactly the same throughout your entire adventure, regardless of the deluge of new and deadly skills and powers you can unleash upon your enemies, there's still a feeling of a lack of progression. 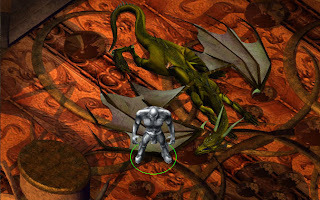 In an RPG, enemy variety matters - which is part of why enemy scaling makes the combat of some newer games potentially seem less epic than some older games that would start by pitting you against rats and eventually have you working your way up to fighting golems, giants, dragons and demons. I'd suggest this may be one of the major contributors to people thinking that they "don't feel like an RPG" in such games. Turning into a golem to kill a dragon, now that feels like progress! I think BioWare have some careful ground to tread in terms of managing the expectations of existing and new fans. I make no secret of the fact that I'm a huge fan of their games, but there are signs that give me pause for thought. The development of the Dragon Age franchise concerns me a little in that there seems to be a push to "tell the BioWare Dragon Age story" while at the same time telling players that "they get to create their own Dragon Age story." I have no issue with developers writing the story that they want to tell, but they must be upfront with the player about how they will be able to affect the story. If major choices are going to be "ignored" or "manipulated" to make things exactly the way the developers want them to be, then it's poor form to suggest to the player that their choices matter. But this comment hardly signifies "the death of BioWare" as some have claimed. If anything, it's just reinforcing BioWare's trend to push the RPG genre towards a more action-oriented market that's more accessible for people who don't have the patience to mull over hundreds of different character builds and don't want to read swathes of text while playing video games. Anyone who declares this to be a bad thing doesn't really love the RPG genre, because they don't want to share it with others that find it intimidating and overwhelming, but merely keep it stagnant and isolated to a dedicated niche market. The RPG isn't becoming irrelevant, it's becoming more commonplace. It's been quite some time since I've done a Shattered War update, so I thought I'd let people know what I've been working on. Dialogue has been the primary focus of my modding efforts in recent times, writing conversations involving the major characters in the mod. Now, while this may seem a little strange, given how long I've been working on the mod, and how much of the mod is done, but I find this approach works better for me. While in many cases I've already outlined the content of what will be included in these conversations, the actual spoken lines are usually not written until I'm happy that the overall content provides sufficient character depth and development. However, in addition to writing dialogue, I've also received recordings for a number of characters from several of my voice actors. These wonderful people are offering their time for free, and helping to bring the people within the mod to life. Even this process of voice integration adds significant time to the production of a mod in order to make everything look right. The choice of camera shot, when to cut from one camera to another, what gestures the character should use, how they should stand and their facial expression all must be reviewed before a conversation can be considered "complete". Neutral facial expressions or gestures that don't match with the line result in a disconnect with the dialogue, because it no longer looks "real". 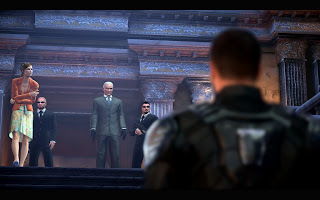 Players can and will pick up on abnormal movements, which will distract them from the true purpose of the cinematic dialogue in modern games: developing a believable scene in which the character can become emotionally invested. 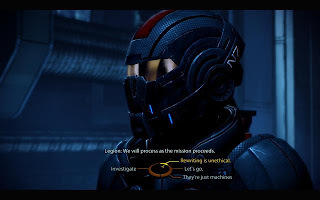 Characters whose facial expressions, gestures and tone of voice match to deliver an emphatic line help to give the player a reason to care about the adventure they are experiencing. It is up to the designer to make sure all those elements combine to give the most engaging scene to a player - and that is a responsibility that I take very seriously. 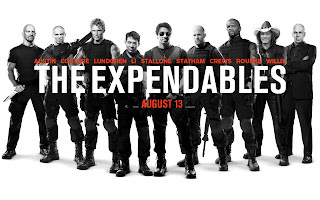 Good: Selfless, will give up rewards, protects innocent people, hunts bad guys, etc, etc. Evil: Selfish, will threaten/bully/kill to gain rewards, doesn't care about innocent deaths, kills anyone who gets in their way, etc, etc. These two opposite ends of the spectrum don't offer a whole lot of depth in terms of personality. One's a rampant goody-two-shoes, the other an egotistical psychopath, and never shall the two meet. Of course, this isn't to say that players can't decide to create a character with more depth that might provide a mixture of both personalities, but they need to be provided with reasonable choices in which to do so. Blanket black and white choices don't and can't provide this depth of character, even for the player who is trying to create it. We're frequently given choices equivalent to rescuing a stranded cat in a tree (and potentially breaking a limb in the process), or setting the tree on fire to incinerate both it and the cat. These aren't challenging choices that make for interesting or complex protagonists. Why should writers care about this? After all, flat characters can be a part of entertaining movies, and some of the best selling video games have featured some fairly uninspired and one-dimensional characters. However, this comes down to whether the writer wants to convince the player to take on a predefined stereotype persona, or help them create a complex and meaningful character as they go through the game. If players are presented with choices that don't neatly fit into Good/Evil or Paragon/Renegade (and don't have gameplay mechanic implications associated with them) then they are more likely to analyse the choice they are about to make and try and develop a rationale behind their decision. The aim is to stop players from going "I'm being good" or "I'm being evil" but actually have them engage with the game to the extent that they are creating a multi-dimensional protagonist of their own imagining. If we're dealing with a roleplaying game, should the writers not attempt to get the player to create a character equally as complex as a protagonist from other storytelling mediums? Should the designers not only facilitate but actively encourage players to create a fully fleshed out and realistic protagonist with a believable personality? The player may start the game with a shell of a protagonist, maybe even one of the three basic stereotypes listed above. But by the end of a story with well-crafted decisions, they will have developed a character with a set of morals and values every bit as complex as the most fully realised characters within the game. 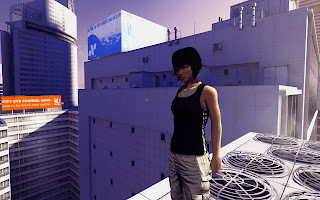 It should also be considered that some people play their protagonist as a virtual avatar - they "are" the protagonist within the game world, and make all decisions as though they are the main player in the story. Arguably, these players offer potentially the greatest reward for a writer: the ability to teach the player something about themselves. If a player is forced into a true dilemma where they are forced to pick between two very hard choices, then they will potentially learn something about themselves. Would they risk lives by letting a criminal go free and tracking him to potentially catch a bigger fish in the pond, or would they bring them in straight away? Would they allow a mother to sacrifice her life to save her son's, or would they risk both of their lives in an attempt to save them both? Save a friend/ally/lover or the lives of strangers... now we're getting warmer. The protagonist should be the most important and complex character within the story. This axiom is commonly used when determining the overall worth or emotion or long-lasting impact of a film. Given this is such an important aspect of storytelling in film, theatre and prose, why is it such a frequently neglected aspect of storytelling within computer games? Gordon Freeman is a blank, emotionless, silent slate: it is up to the player to "be" Gordon and provide him with their thoughts. War from Darksiders has little personality, and along with Marcus Fenix from Gears of War, is practically a static character despite the events within their respective games. Even Alan Wake, a story about a writer, has a personality that's almost as flat and lifeless as they come. In part, this flat nature may be because these characters never really progress beyond the basic traits that are shown to the player in the earliest stages of the game. They're never forced to develop or show what they are made of besides the straightforward collection of stereotype traits because they're never placed in a situation where they have to make a tough choice. If the protagonist can be placed into a true dilemma, where there is no clear "right" or "wrong", then just as with other story telling mediums, they must display their true character and their values through this choice. These choices are where protagonists from other mediums really shine and mature as characters in front of the audience's eyes. Games that feature defined characters where the player does not make key game decisions can and should evolve through the story. The protagonist is a willful character that the player is taking through the events of the game, so they should be placed into situations that will demonstrate their true personality and values to the player. This will let the player see more than just surface characterisation, and show a deep and complex protagonist. In Assassin's Creed, Altair goes from being self-centred and arrogant to a more humble and understanding hero. 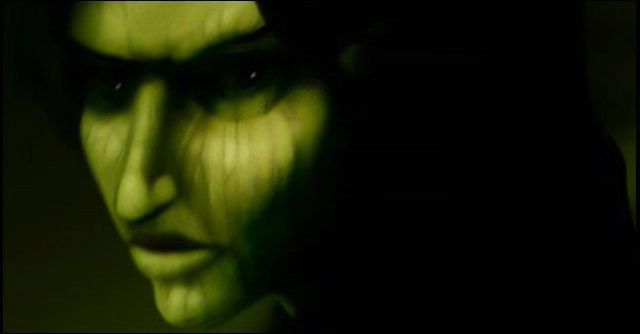 In Thief 2, Garrett leans to trust a former adversary and even laments her death. These characters retain the core personality introduced very early on in the game, but grow and mature throughout their storytelling. If the player is defining the personality of the game's protagonist, force them to make situations that are truly dilemmas. Force them to pick between the lesser of two evils, or alternatively the greater of two goods. They might moan afterwards that they "had to play through the game twice" or "it didn't make that much difference" or "why couldn't I do both??!? ", but ultimately this kind of choice makes the protagonist of the game more complex. This forces the player to examine what their character (or they themselves, if they are playing a "virtual protagonist") would do when placed into this situation. This is practically the ideal situation for a roleplaying game, as the player is truly forced to adopt a role. However, there are two very important caveats when dealing with these types of choices. Make sure that these "true dilemmas" are not hamstrung by heavy-handed "alignment" systems that assign a "value" to each decision. If you have a good/evil scale (regardless of what your chosen axis/axes might be) do not modify it because of a player's choice in a "true dilemma". Doing so immediately assigns a value judgement to each option within the dilemma, which means that it is no longer a dilemma and hence the immense value of the choice is lost. Why did Mass Effect 2 have to dish out paragon/renegade points? The second caveat applies to all video game choices, but it is even more important when it comes to dilemmas: Don't have a protagonist say "why" they acting the way they are. For one, it sounds unnatural. Only the most poorly written characters verbosely explain the rationale for their actions, because people don't act that way in real life. Secondly, the player is the one making the decision, complete with their own rationale. There is no possible means for the designers to think of every possible rationale that players might have for making a decision, and attempting to do so will only annoy the players that have come up with something you haven't thought of. And that will probably happen in more cases than you would care to imagine. Designer should be able to get players emotionally and mentally involved with protagonists by giving them true dilemmas to deal with. Let them evolve, grow and show real character and personality throughout the game, and you'll have a more interesting hero for your players to empathise with as they take that journey. Writing in video games is a unique challenge. While elements of writing, structure and story are common across writing, theatre and film, each have their own idiosyncrasies and challenges that demand different styles and approaches. The same is entirely true of video games, for while writing in this medium certainly shares many basic elements with these other forms, the video game writer has to deal with problems not faced by other writers. One of these key issues is that the player is the protagonist of the story - the player is taking the actions that will drive it to its conclusion as opposed to the being a passive viewer watching a defined character progress through it. In many cases, this allows the player to project some degree of their own personality (or another desired personality) onto the protagonist character, whether it be through gameplay (e.g. a fastidious hero who meticulously searches every area for whatever supplies he or she can), or directly through persona-defining actions (e.g. picking a course or action or dialogue style). 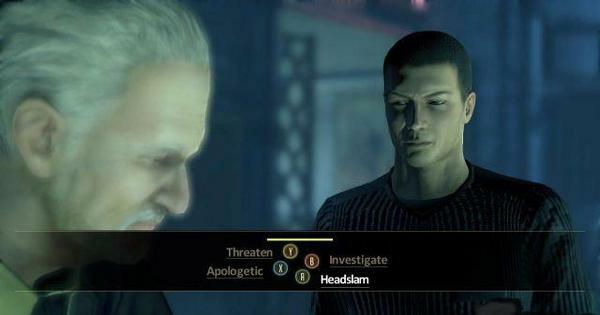 This can happen to an extent in other media, whereby people have slightly different interpretations of a character within the bounds of the scenes and events presented to the reader/viewer, but rarely is there the level of freedom granted in games, particularly when dealing with RPGs that allow great variance in defining the protagonist's persona. Since it's easier to work with the extreme case to illustrate a point, I'll focus this discussion on roleplaying games. Admittedly it's my favoured genre of video game because of the strong story-telling elements and the player's ability to define their protagonist, but the ideas that follow can to some extent be applied to all video games. However, it is important to take established principles of story-telling from these forms and examine their usage within video game writing. One such principle or idea I was presented with recent struck a great chord with me and its application to video game writing. The idea was simple: The choice between good and evil is no choice at all. As this idea was presented in terms of theatre or film, the issue is presenting a character with a "dilemma" in which the established character can only logically make one of the choices without completely undermining their established persona. It's where a character is presented with a choice that effectively provides no choice, because they cannot make any other decision apart from the one that the audience expects. The argument that follows is that the only interesting decisions are where the character must wrestle with their own morals or values in order to make that decision. The interest frequently comes from characters that make a decision that is difficult and shows the character undergoing a great change. This isn't to argue that these foregone conclusions can be uninteresting in and of themselves. James Bond never has to make a decision as to whether or not he will save the world, but the Bond films never lack in drama and excitement. Pirates of the Caribbean sees Jack Sparrow wrangle his way to getting his hands on The Black Pearl and double-crossing Barbossa after striking a deal with him. 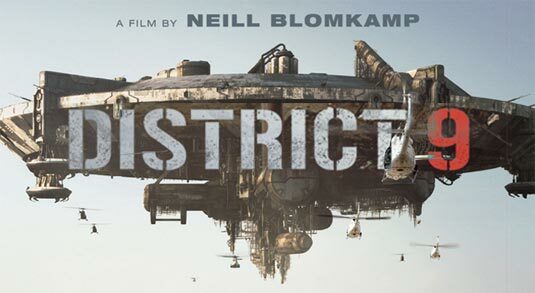 There is very little drama or interest in their actual decisions, but there is a great deal of excitement and interest generated by the events that result because of those actions. Only if I get paid. The problem with this is that it typically doesn't actually present the player with a difficult choice. There's no wrangling from the player in trying to work out what they will do. We have responses based on three character archetypes: the hero, the mercenary, and the evil-doer. Many players will decide upon a particular type of character that they want to play and will merely pick the relevant choice based upon their chosen persona. This means that the player generally doesn't really care about the dialogue, because their choices are largely predetermined based on the chosen archetype they've picked. They might care about the character and story and be involved with how the plot develops, but ultimately they've gone down one path that was chosen from the very beginning. Which archetype: James Bond, Jack Bauer or Jason Bourne? First off, I should say that this isn't necessarily a bad thing. I know many people who have played the Mass Effect series in this way - always picking the paragon option or always choosing to act like a renegade. They've still had a lot of fun playing the game, potentially even going through with both options in two separate playthroughs, and have come to really like their character, even though they're a very simple character in terms of the depth of their personality. The trend towards voiced protagonists can accentuate this tendency, as the player builds an "image" of a particular personality because of their protagonist's spoken dialogue reinforcing one of the chosen archetypes that the character can portray. Unvoiced protagonists may offer the player more nuance and variance in how the player imagines the exact delivery of the line, which may increase the likelihood of them not neatly fitting into a predetermined archetype. Of course, this is speaking in generalities, and players can still make complex characters even with voiced characters. From personal experience in Mass Effect, I constructed a mostly paragon character, but one who wasn't afraid to stray into renegade territory where conflict was inevitable. However, mechanics like the paragon/renegade scale mean that players will almost certainly focus predominantly on one such path because of the vast gameplay advantages obtained from doing so. 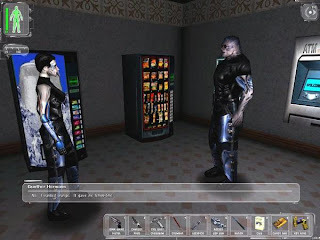 As much as this type of mechanic is pushed as a means to enhance roleplaying it frequently ends up detracting from it instead because the player can end up more concerned with being able to receive the rewards that only come from pursuing one path exclusively rather than walking some kind of middle ground. I think it's time I delved into some analysis of DA2. It's been a while since the game was released, and as such, I'm going to be pulling apart some aspects of the game to explain where I felt the game did well, and where it didn't do so well. To this end, I'm going to go into some fairly significant spoilers of both Dragon Age Origins and Dragon Age 2, so if you've not played these games and don't want to have the plot ruined, tune out now. 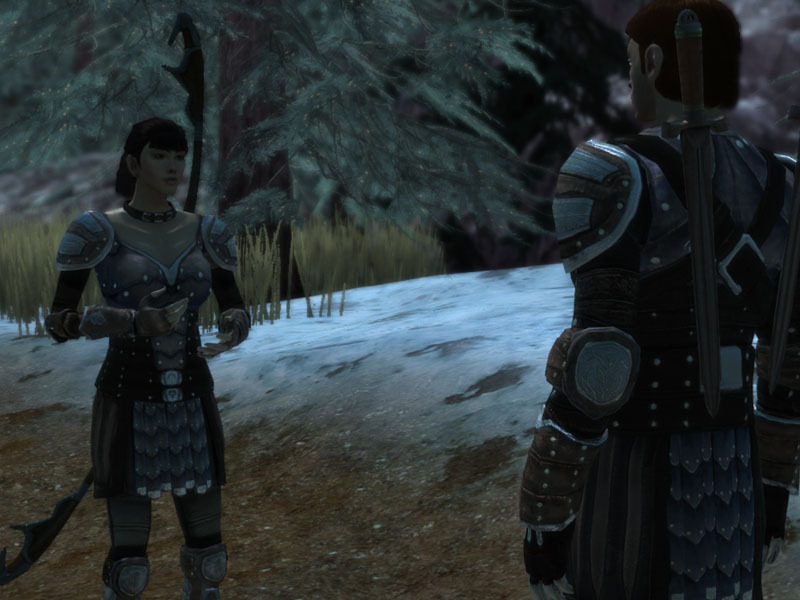 The first issue that I want to discuss about DA2 is the lack of player agency in the plot. Firstly, it might be wise to describe exactly what this means. To take an academic definition: "player agency is an attributed, contextualised power to effect meaningful change". Put more simply, player agency is the ability of the player to affect their game world and their gameplay experience. It allows the player to make the key decisions and actions that push the game and its story forward. Unfortunately, this is one area where DA2 falls remarkably short. 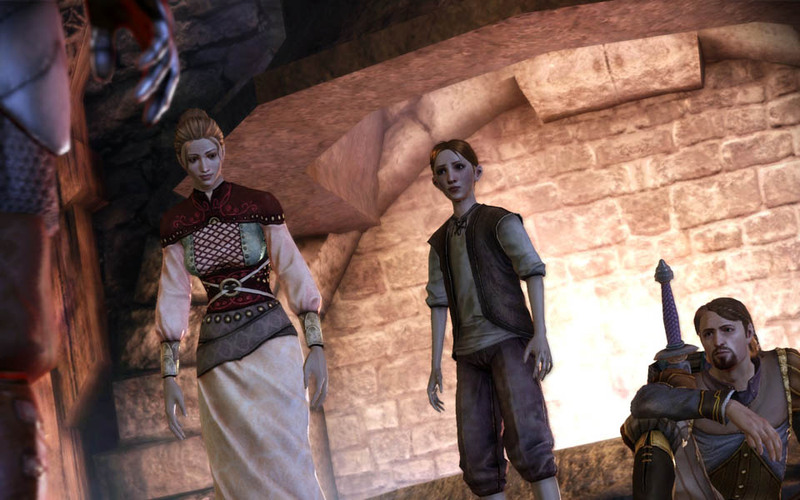 Many players mistakenly attribute the shortcomings of DA2's writing upon the lack of the chaos of the blight and the darkspawn as in the first game. 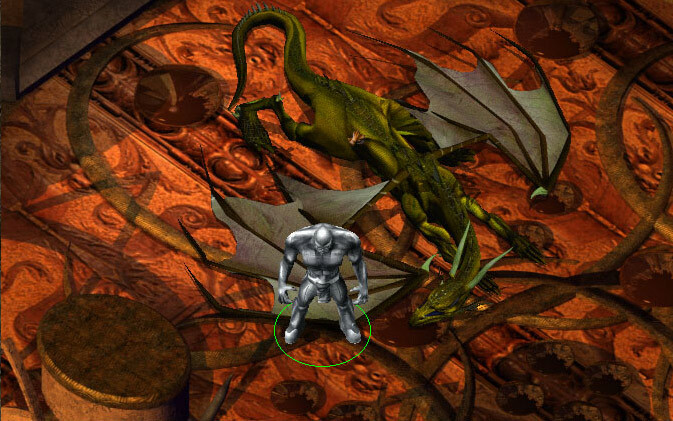 However, the intrigue of DA:O wasn't generated by the darkspawn threat. 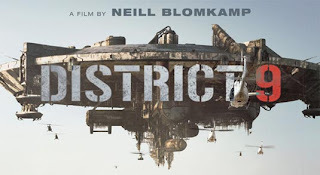 The blight was the catalyst and the driver of the plot, but it lacked the punch of the individual stories that drove the four cornerstones of game. Those cornerstones were the stories through which the player gained their four armies in support to defeat the blight: A poisoned Arl with a son possessed by a demon, an ancient curse fueling a conflict between a Dalish tribe and interlopers, internal conflict between feuding mage groups, and a dwarf obsessed with a power that was buried for a reason. These were the drivers behind the core stories of interest that made people enthralled by the game. The darkspawn were merely the "big bad evil" threat that was needed to fulfill the common need of players to have some big threat that they can keep in mind as something to defeat. It wasn't until you had the conflict of Awakening that they actually became an interesting entity in their own right. While having an antagonist is frequently an important factor to an intriguing tale (hence my "antagonists" series of posts), as long as there are ongoing sources of conflict to drive the plot and the player towards a goal, there is still plenty of scope for interest within that story. DA2's core problem with the writing is that the player can often feel like they are dragged along for the ride rather than actively pushing the events of the story forth. Hawke is a key player in a plot that evolves around him/her rather than being the protagonist who makes the plot happen. This means that the player doesn't really get a sense of agency in making decisions, because many of the key events occur outside of their control, and they merely are there to "clean up the mess". Did the Qunari have to go on killing spree over a book? The effect of DA2's story on the world of Thedas is far greater than DAO's, with Morrigan's disappearance and child being the only thing with the potential to carry anywhere near as much weight. So why is it that the story feels so much weaker to so many players? The crux is the problem is that the writers forced particular outcomes for the development of the overall story arc of the Dragon Age franchise. As a result, Hawke is forced into situations throughout each of the acts and has no power to prevent or control the development of any of them. 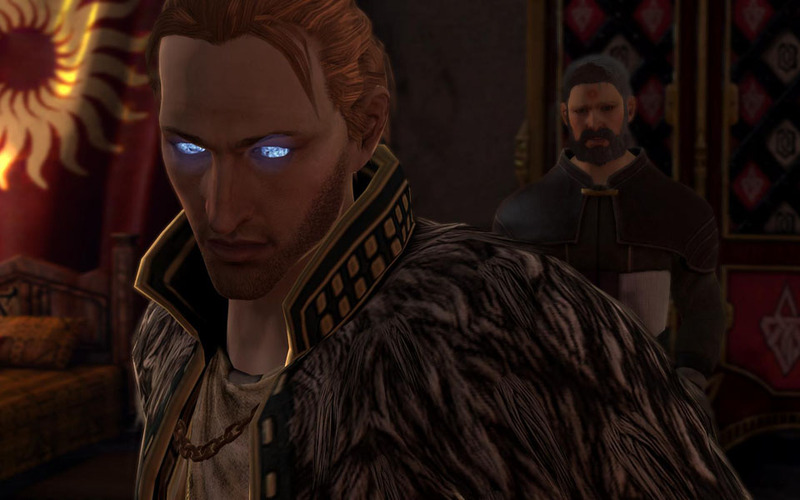 In Act 1 Hawke is betrayed by Varric's brother for the mysterious red crystal. 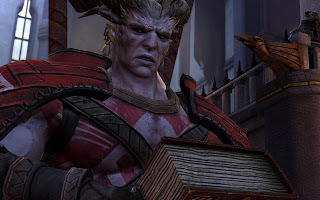 In Act 2, the Qunari attack the city of Kirkwall to retrieve their stolen Tome of Koslun, and this seemingly incites the potential for future Qunari violence even if their Arishok leader leaves instead of being killed. In Act 3, the ongoing conflict between the mages and templars explodes (literally) as Anders blows up the Chantry and subsequently causes all mage circles across Thedas to rebel. It does seems that the separate stories conveyed through DA2 are a build-up that should pay off in subsequent titles. However, because these events always plays out in exactly the same way no matter what Hawke does, the player feels railroaded. Imagine if the player player could use diplomacy and tact to head off the crisis with the Qunari and prevent their attack entirely. There could have still be a strong sense of animosity pushed through this encounter, or alternatively the Qunari could have merely chosen to kill the Viscount to make an example of the nobility and leadership and the retribution that was necessary due to their inaction before leaving. If multiple options for instigating open conflict between the mages and templars had been implemented, this would have similarly left the player feeling as though they wielded the power to change the story. 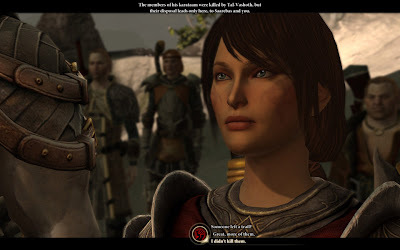 If more variance had been introduced such that final conflict could have eventuated from different circumstances based upon Hawke's choices, as opposed to the choices of NPCs, then DA2 would feel like a far better game, because the player would feel far more empowered and as though they were playing an active role in the story rather than a reactive one. In this way, the player would have felt that Hawke was a true "Champion of Kirkwall" rather than a "Champion of circumstance".